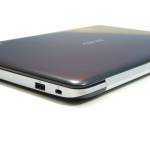 Vivobook S200. 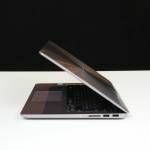 This popular ultrathin is not an Ultrabook. But that's good! 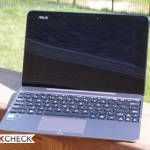 Vivobook S200. This popular ultrathin is not an Ultrabook. But that’s good! As I checked the list of top selling laptops at Amazon.com again this morning I noted that the ASUS Vivobook X202 touchscreen ultrathin, an Ultrabook-a-like for most consumers, was at position 10 for the second day running. Note, that we’re talking about the laptop category best-sellers list that includes two cheap Chromebooks, a couple of Apple laptops and a clutch of value laptops. Later this morning I picked up on a full review of the ASUS S200, the European version of the X202, and it gets a lot of praise. In our own ranking system, based on visitor view numbers, the X202 / S200 is #11 out of over 100 Ultrathins. This ultrathin is on target to be the big hit this season and that’s something Intel need to take a close look at. It sounds bad. It’s not. The fact that an ultrathin might make a killing this Christmas isn’t a major issue for Intel’s bottom line per se as it contains the same Core i3 CPU as many Ultrabooks but it does say something about the marketing efforts for hybrid drives and long battery life. The S200 / X202 has neither of these. It’s an 11.6” device too! Despite that, there are eyes all over this thing. So why aren’t people interested in the S400, the ‘Ultrabook’ version of this with a 14” screen? Perhaps they are. The S400 is at position 25 in the Amazon US best sellers list (Laptops.) In the Amazon US Ultrabooks best sellers list, it’s #1. In our database it’s the #3 most popular Ultrabook. So what are we looking at here? We’re looking at a mass market laptop that looks like an Ultrabook that is outselling many other laptops in its price bracket. That’s good in itself as it means people are leaning towards thinner and lighter laptops. 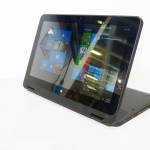 No-one expects the Ultrabooks to be the #1 best seller right now either because there are premium features in Ultrabooks. The S400 has a bigger battery and SSD cache for example and those are features that mass-market consumers aren’t currently interested in. 4hr battery life and 60 seconds startup time sounds better than the 30 minutes battery life and 5 minutes boot time they had on their 4 year old 3KG laptop! It’s only when they hear about 6 and 7hrs and 25 seconds boot time that they start to re-base their expectations and that won’t happen for a while. 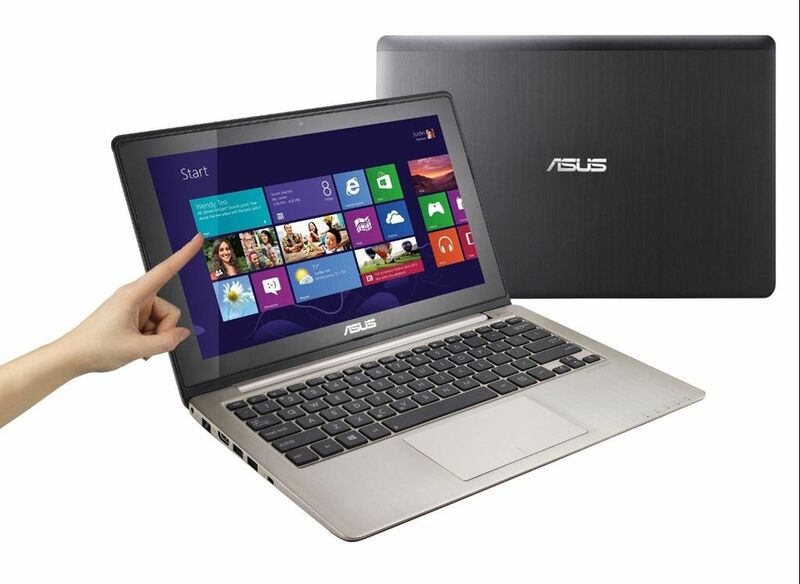 The S200 / X202 popularity is good news for Ultrabooks and a direct win for Intel and ASUS. At $549 in the USA, 549 Euro in Germany and 450 pounds in the UK it shows us how close Ultrabook-style designs are to being successful mainstream laptops. 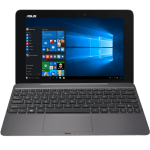 Check out the full ASUS VivoBook S200 review from PCPro UK here and find out more about the Vivobook S200 in our information page where we have videos, links, prices, specifications and alternatives. I was quite impressed with the S200 too, but I think down the road, the S400 is going to be a lot more popular, as most users won’t go for a 11.6 inch device. Right now probably the lower price steers buyers more towards the S200. We’ll see if that’s going t change or not..
No, not impressed at all. It’s cheap, but low end. Core i3 processor. 1366×768 resolution. HD, not SSD. It will appeal to the masses, though. 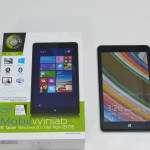 Could this be a sign towards OEMs competing at the bottom again like with the netbook fad? If this is so popular, I wonder what the other OEMs will do. Exactly. This is a sign that the Ultrabook design is going mainstream. True Ultrabook prices will be dragged down by this. Great for the consumer. Isn’t that what OEMs and Intel not want? Also, with netbooks, didn’t it result in lower quality products with less features? At least that’s just what I’ve read so no first hand experience.